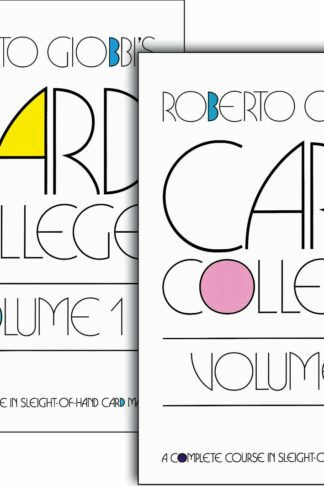 Books devoted to card magic number in the thousands, and those books have offered hundreds of thousands of card tricks, most of them designed for the close-up magician. But what about the magician who wishes to perform for larger audiences and higher fees? Card tricks suitable for parlor, platform and stage are far fewer, and finding them requires searching through the countless books in which they are scattered. 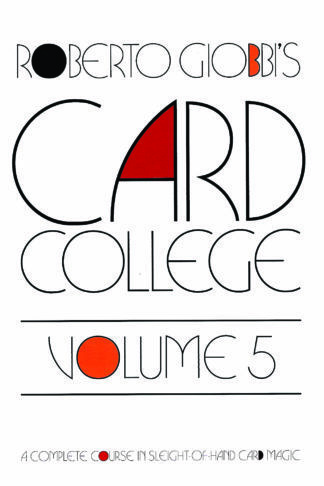 Magicians wishing to perform with cards for more than a few people have never been given a compact and authoritative source of information and tricks—until now. 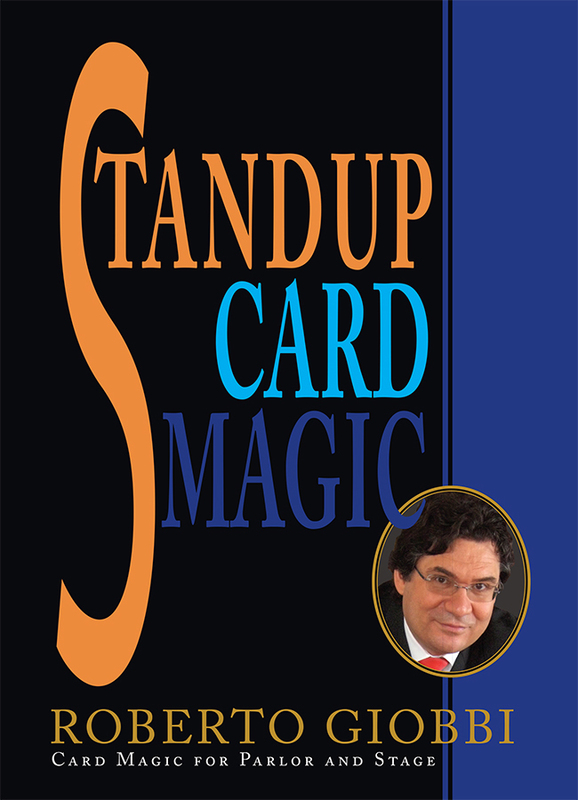 Standup Card Magic is the first book devoted to teaching the tools, tricks and routines necessary for entertaining and amazing banquet, corporate, trade-show and theater audiences. 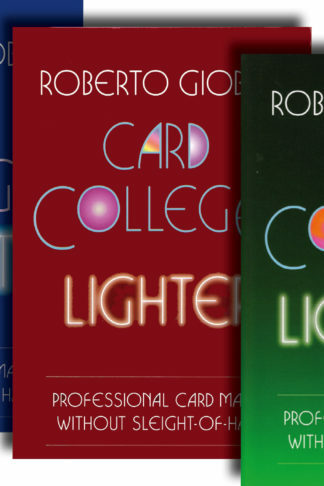 All this is taught through the eyes and experience of a world-class magician and teacher. 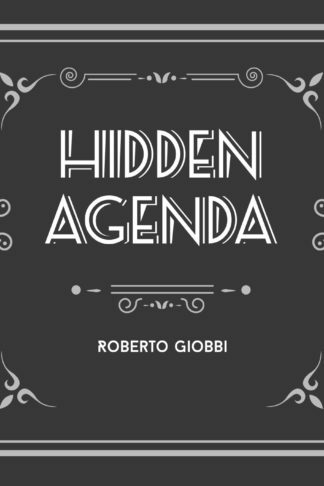 Roberto Giobbi shows you how to perform standup—and outstanding—card magic! Stand-up Card Magic is not simply a bunch of excellent card tricks that can be performed with a normal deck of cards under almost every condition, mostly even surrounded, standing up for a small and a large group (as if that wasn’t enough! ), no, it is also and above all a systematic, detailed study of the principles, techniques, tricks, presentations – the theory and practice – that make the performance of magic standing in front of an audience a specialty of its own within the world of magic. 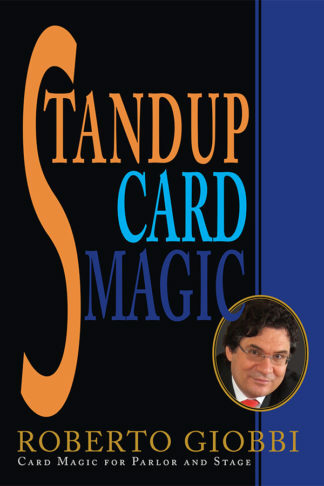 To see what you can expect to find in Stand-up Card Magic, click here to see the Table of Contents. And to read the Introduction, that gives you an idea of the philosophy, on which the book is based, click here.